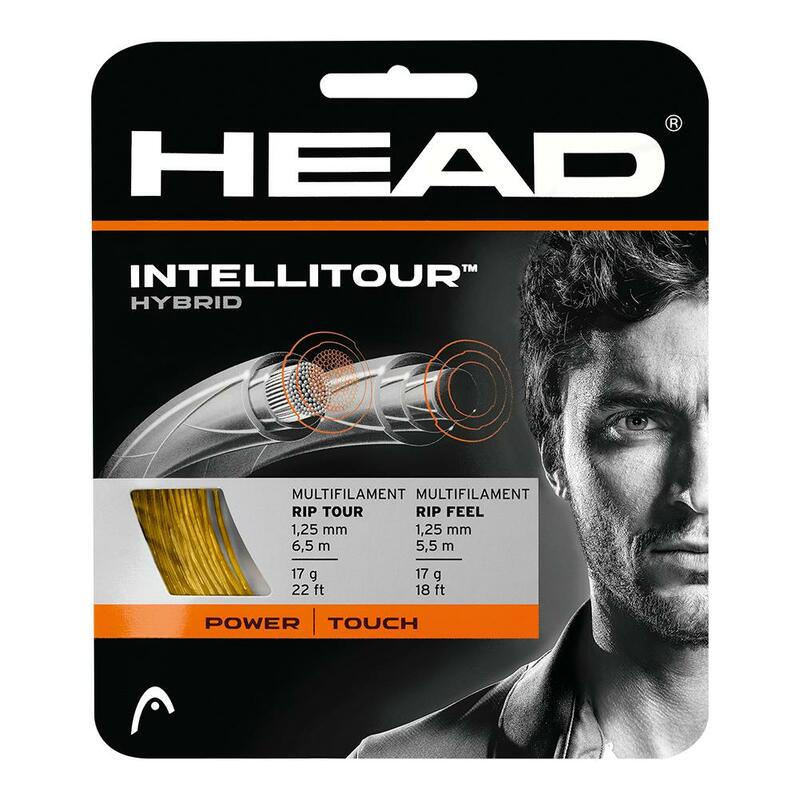 Head IntelliTour 17G provides players with a one-of-a-kind hybrid string composed of RIP Tour mains and RIP Feel Crosses. A thinner version of its 16G counterpart, it provides slightly more spin but sacrifices a some durability in the process. 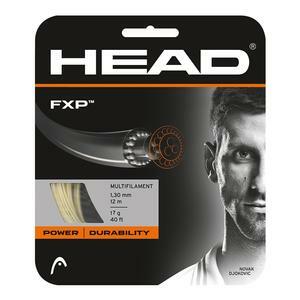 These together provide the perfect blend of power, durability and feel with a spin enhancing texture. 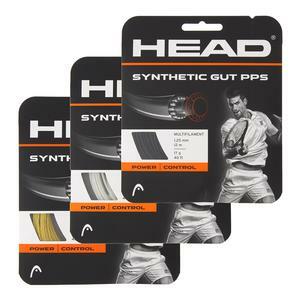 This hybrid string set is perfect for any player looking for a great string to enhance virtually all aspects of their game. This string does the job. Lot of control and very friendly on the arm. Love this string! Feel I can place the ball much better than with any other I have used and still have plenty of power. My heavy topspin shots stay in nicely. 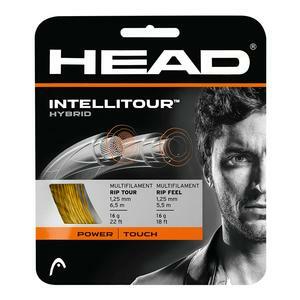 Head produced the Intellitour string several years ago and must have brought it back by popular demand. The string is resilient but most important, provides a strong pop of the ball off the string while maintaining excellent control. It promotes the old theory that hitting the ball Strong with some spin is still the best was to win a tennis match. I have tried other strings, but keep coming back to the intellitour. I find the string holds up well, I have excellent power and control. I would like to create a little more spin, but I still have not found a string that will do that for me without sacrificing the intellitours other attributes. I never have wrist or elbow problems even though I have had shoulder surgery on both shoulders. I put this one on my Wilson PS tour 90 at 55 lb and love it. It has muted feel, but you can still feel the ball actions. It gives me good pops and excellent control. Did I mention very good spin and serve Not much string movement even in clay court and good durability, too. This is a must try. I have played with intellitour 17g for a few years now. Head radical microgel mp 98 strung at 64 lbs. Great ball bite and soft on my elbows. I am yet to find a comparable hybrid with the same feel and control. Have tried several other poly strings and their combos. None came close to the feel I get on intellitour. They last for about 8-10 matches. Value for money. Strongly recommend these for 4.0 + player with big swing speeds. The strings are nice for general topspin. My son does not like the color, but performance is fine. Ive been using this for years. Soft on the arm, but not great spin. That does not matter to me as I primarily hit the ball flat. Decent tension maintenance. Good lifespan before any breakage. 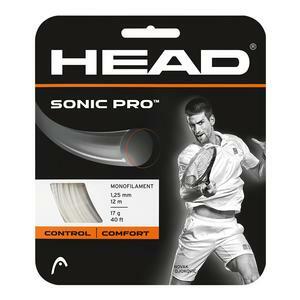 Prior to using these strings, I was using the Wilson Champions Duo....a more expensive hybrid string package. I like the Wilson but it seems for my level of play, the Intellitour 17 gauge is a better choice. I get better control. With the Wison, I tend to hit more long balls. The Intellitour strings are strung at 58 Cross and 53 Mains. I may string a bit tighter next go round. Unlike the Wilson, the Intellitour strings do migrate, even though strung tighter. The Intellitour also do not last as long expected for a 17 gauge, though much less expensive.